Need help with Addiction and Alcohol Treatment in Edmonton, Alberta? Over the past 35 years many Edmonton Residents have come to Last Door Recovery Centre for addiction treatment, upon completion of treatment they return to their home community stable and read to live a life in recovery. Last Door’s Edmonton alcohol and drug addiction treatment program involves both the individual and his social and physical environment. The therapeutic focus is on the social and behavioral aspects of the client. A community where alcohol abstinence and recovery are the “norm”. In the course of living as part of recovery clients are presented with opportunities to modify, and in many case, overcome the addictive behaviors and patterns in their lives. Alcohol and Drug addiction treatment works. Thousands of people have found recovery from heavy drinking, dangerous drug use, participated in alcohol and opiate detox, and found restored lives in therapy. Clients participate in daily Edmonton Alcohol and Drug addiction therapy, group therapy led by qualified certified alcohol rehab staff and participate in community support programs. Clients with careers are assisted with Return-to-Work Case Management, Safety Sensitive Reviews, Education and Vocational Case Management, Ongoing Post Treatment Access weekly Continuing Care Groups, and Aftercare Groups across Edmonton and Calgary Alberta. Clients who complete Edmonton Addiction Treatment Services, drug and alcohol addiction recovery treatment programs are offered Transitional and Semi-Independent Living Residences as they participate in a graduated return to work. Last Door’s alcohol addiction Edmonton treatment program encourages clients as they make healthy and informed lifestyle choices. Clients become more aware of the numerous lifestyle choices they can make and choose those that will enhance the quality of the lives while in treatment and post treatment alcohol free. Last Door is a gateway to a life in recovery. No certificates. No Diplomas! Instead, clients are coached into living and enjoying life by successfully completing alcohol addiction treatment. Clients are always welcome to visit and attend groups after they have completed their treatment. This perpetual access service allows clients to stay connected as they can continue to find solutions to the everyday life circumstances. Life shows up even with years of recovery. To provide better addiction services in Edmonton, Last Door has affiliated with Addiction Recovery Agencies in Edmonton to help with individuals with pre-treatment and post-treatment addiction services. Call us at 1-888-525-9771 to begin your recovery journey. Last Door’s Edmonton Addiction Treatment Services – Youth and Adult in patient residential treatment facilities are located in New Westminster BC, clients from Edmonton attend treatment at Last Door for Primary Care. Upon completion of residential treatment, clients are offered continuing care options at the Homewood Health Clinic in Edmonton. For those who are looking for outpatient treatment only in Edmonton, please contact Homewood’s office directly. Last Door provides Detox, Addiction Treatment, followed by continuing care at Homewood’s Edmonton clinic for when clients return home. Homewood Edmonton can provide continuing care for Last Door’s Clients. Leaving treatment with a confining care plan is crucial to long term recovery services. LifeMark Health Institute is a large interdisciplinary rehabilitation centre in Edmonton with comprehensive substance abuse/addiction management services. Dr Ian Forster and Dr Omar Rahaman are addiction certified (ASAM) physicians with vast experience in the assessment and management of addiction related illness. Our practice ranges from one on one services with self-referred individuals to supporting organizations with maintenance and monitoring programs. Please call Life Mark Directly to set up an appointment. Parents Empowering Parents (PEP) Society Free support & education for individuals or families concerned about their child’s substance use or addiction. Everyone welcome, including parents concerned about adult children. 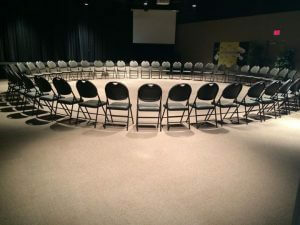 Professionally facilitated weekly meetings, Tuesdays, 7:00pm to 9:00pm, alternating locations between Strathcona County Hall (2001 Sherwood Drive, Sherwood Park, Alberta) and Sunrise Church in Millwoods (3303-37 Street, Edmonton, Alberta).